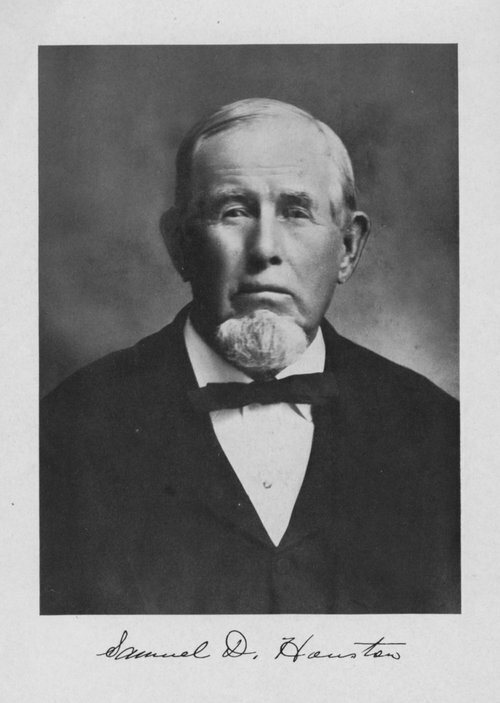 A portrait of Samuel Dexter Houston who was one of the first settlers in Riley County, Kansas. He located a claim on Wildcat Creek and built a cabin in December, 1853. Houston was instrumental in founding Manhattan, Kansas and aided in laying out the town. He was the first state senator from Riley County and represented both Riley and Pottawatomie counties from 1860 to 1862. While in the legislature, he helped write the Kansas State Constitution.